Why Commission me for your wedding ? 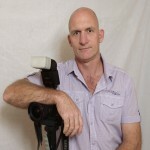 I have been a Professional Photographer since 1998, initially with the Commercial, Tourism and Magazine markets. I then expanded into Professional Family Portraits and Contemporary and Traditional Wedding photography. What makes me different to any other photographer ?? Master Craftsman Qualified Wedding Photographer. I PRIDE myself on my Photography Skills, Business Values and Customer Service. CLICK this Blue txt to view the WEDDING PACKAGES PAGE for information on Prices, Client Testimonials and FAQ’s. CLICK this Blue txt to view the PORTRAITS PAGE which has information and lots of samples. CLICK this Blue txt to view the COMMERCAIL PHOTOGRAPHY PAGE which has information and samples. CLICK this Blue txt to view the ESTATE AGENT PROPERTY PAGE which has information and lots of samples. CLICK this Blue txt to view the BUSINESS PORTRAITS PAGE for information on Prices, Samples and Info. CLICK this Blue txt to view the SOCIAL EVENTS PAGE which has information on Black Tie Balls, Proms, Holy Communions and much more. CLICK this Blue txt to view the LANDSCAPES PAGE which has 1.000′s of my images of the UK Coast, Hills, Fells, Valleys, Lakes, Rivers and the Natural World, alongside World imagery from my travels abroad.